It’s mostly a negative message but please don’t miss the ultimate point. Ryken says that this verse is not only Jeremiah’s job description; it is also a helpful summary of the plot of the book. Then he adds, “But grace will have the last word. When the cities of evil have been torn down and plowed under, God will start afresh. He will begin a new work. He will ‘build’ and he will ‘plant.’ He will bring renewal out of demolition.” If we could hear a truth that might change our lives it’s this one. We all deserve God’s judgment because we’ve all sinned. Yet God’s plan is not to “utterly” destroy us, but to discipline us in His love to bring us back to Himself. 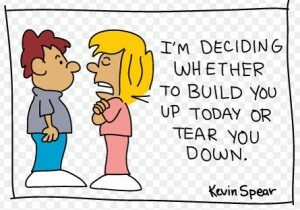 All the uprooting and tearing down that takes place in our lives God will build something better upon its ruins. Grace always gets the last word. Jesus is God’s last word! Although the brunt of Jeremiah’s prophecy concerns the uprooting and the demotion of what man has built, his conclusion is that God will rebuild upon the ruins something far greater. This brings to mind Paul’s difficult message to the Corinthians. In his second letter to them he confronted their many failures but then said in 2 Corinthians 13:10, “For this reason I write these things while I am away from you, that when I come I may not have to be severe in my use of the authority that the Lord has given me for building up and not for tearing down.” Paul’s ministry was “not” for tearing down but only for building up. 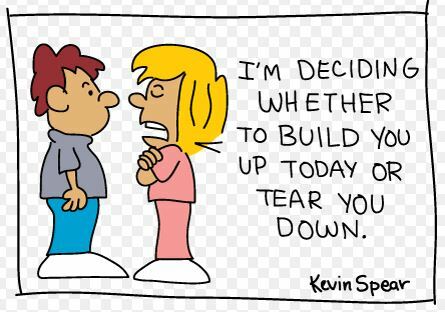 That was the authority Paul had; to build up! I’m much more like Paul than Jeremiah. I don’t feel God has called me to tear down or to root up. He has called me to build up. I hope I do that! Philip Graham Ryken, Jeremiah and Lamentations: From Sorrow to Hope, Preaching the Word (Wheaton, IL: Crossway Books, 2001), 26–27.